Oron J. Hale, no date. Oron James "Pat" Hale taught in the Department of History from 1929 until his retirement in 1972. In the late 1920s and early 1930s he pursued his scholarly research on European diplomacy and the press in Berlin and Munich where he witnessed firsthand the rise of Hitler and the advent of National Socialism that drove the world to war. 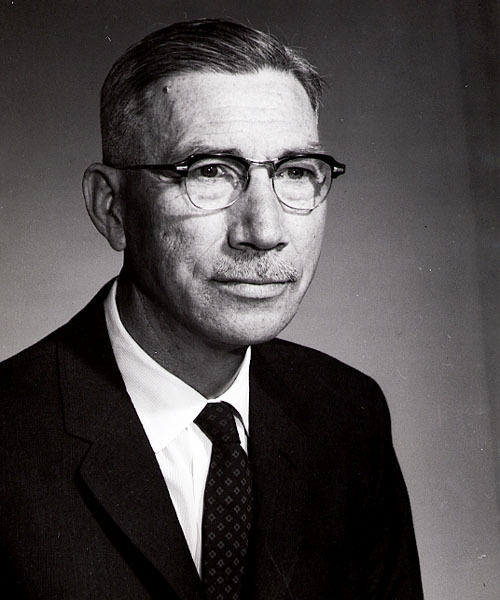 Hale served with the Intelligence Division of the War Department General Staff in Washington. In 1945, after the end of hostilities, he participated in a special mission of the War Department's Historical Commission in Germany to interrogate the surviving political and military leaders of the defeated Third Reich, including such notables as Goering, Keitel, Doenitz, Ribbentrop, Rosenberg, Ley, Jodl, and von Papen.